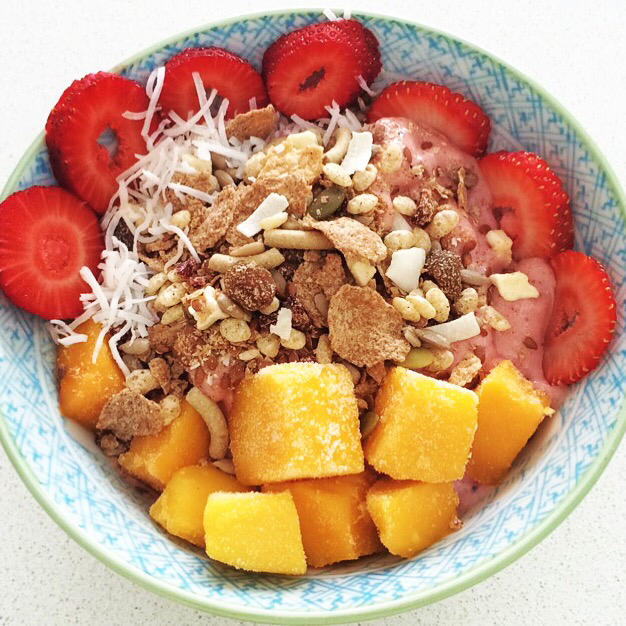 This fruity brekky bowl is a perfect summer option that will keep you full for the rest of the day! To make smoothie base combine all ingredients in a blender. Add ice gradually to thicken. Pour into a bowl and top with topping ingredients. Tip: When choosing muesli or cereals beware of the sugar content. Muesli’s without any dried fruit should contain less than 12g of sugar per 100g. Those with dried fruit are likely to contain higher amounts of sugar so be careful!